○First proposed by theoretical physicist Freeman Dyson in 1960. 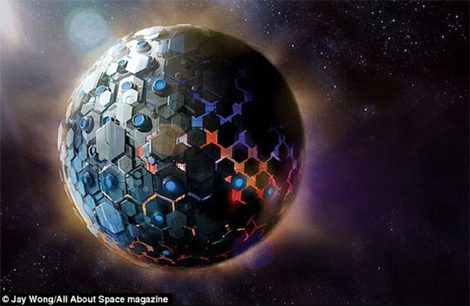 ○A Dyson sphere is a hypothetical megastructure that completely encompasses a star and captures most or all of its power output. ○One theory for an advanced alien race is that they might harness the power of an entire star. ○In addition, it is possible to know the direction of technology development. 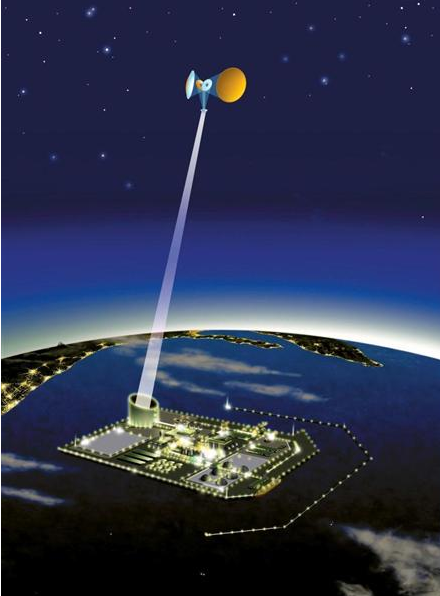 ○The goal time of commercialization of JAXA is 2030. ※However, laser is affected by the weather. ※Receiving station is installed on the sea or the like. ※The solar panels is 2km square. ※It is necessary to lower transportation costs to 1/50. ※Construction costs of 1 nuclear power plant is the billions of dollars, but, in the case of Japan, the final disposal site is not.